Do you have a relative or friend with mental health difficulties? Do you support them? If so, you are a carer, and this group is for you! We are a peer support group for carers of people with mental health difficulties. Meet other people who face similar challenges as you, who can understand and support you. We are a group of carers who support people with mental health difficulties, and are very aware of the problems that carers face. We know that not only does the person with the mental health difficulties face stigma and isolation, but so does the person caring for them. The carer is often left unsupported to deal with some difficult situations. As a peer support carers’ group, we can offer you support and understanding from people with experience of the difficulties you are facing. a chance to get involved and improve the services within mental health for service users and carers. We believe in the principle of working together and have established strong links with other groups including the AWP. We are building relationships with the statutory mental health services and other services connected with mental health. We sit on many committees within the statutory mental health services representing carers, and ensuring that carers’ voices are recognised and heard. We meet on the 2nd Tuesday of each month. We meet in the evening between 7.00 and 9.00 P.M. to help fit in with your working day. Come along for a chat, have a tea or a coffee, and meet real people who know what you are going through. We meet at the Bath Carers' Centre, The Woodlands, Lower Bristol Road, Bath BA2 9ES from 7.00PM till 9.00PM and look forward to seeing you there! - an independent charity addressing health inequalities across Great Britain. KS2 Bath is delighted to announce that we been awarded a grant by People’s Health Trust from money raised by 51 community interest companies through The Health Lottery. This funding means that we will be better able to provide the help and support that carers need. 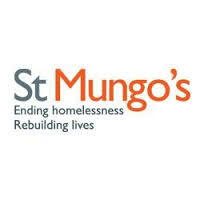 KS2 Bath is also very grateful for the kind donations over the years from St Mungos and the B&NES Carers' Centre. 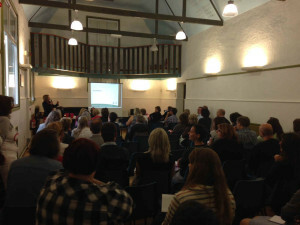 We had our AGM where all members were re-elected for another year. We also had our check-in and then went on to our Christmas party. There was good food and good company with lots of good ideas for fundraising and involvement for the coming year. Many thanks to all who came and a very happy and peaceful Christmas! Sarah from the BANES Wellbeing College came and gave a talk on what courses they offer and how to access them. A really interesting talk with lots of useful information. We had our usual coffee, cake and catch up too. Of course we had coffee and chat! Another great meeting with coffee, cake and chat. Our aim is to get as many carers as possible to know about the charter to empower them to challenge when it is not being followed. Please take the time to read it. Please pass on a copy of the charter to any other carers that you know, as we need to get it out there in the public domain. A great social event with lots of cake and chat! Ursula James from Talking Therapies has kindly agreed to come to our monthly meetings to offer a chance for carers to talk. Please email us to book a slot (3 slots available each month). As Ursula lives quite a distance from Bath, pre-booked appointments means that if no-one takes up the offer then she does not need to attend. Ursula James from Talking Therapies came to do a talk. In BANES you can self-refer to Talking Therapies. BANES has a high success rate for Talking Therapies, and unlike a lot of areas do not have a time-limited service. What an amazing day! Who would have thought that you could get service users, carers and professionals together to have an honest and frank discussion about confidentiality? We had workshops run by carers, service users and professionals, which came up with some great ideas about improving communication. The next step is working with the AWP to get some of the ideas implemented in BANES. Collaborative working is happening and is becoming really successful, and I would like to personally thanks all those involved in the day. Watch this space as we will be posting a full report when it is complete. What a night! 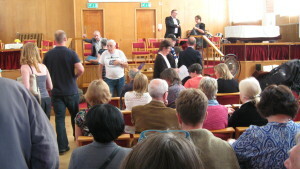 Eighty or so people came to our What’s Going On event in Bath. Attending were Iain Tulley (Chief Executive of the AWP), Bill Bruce-Jones (Clinical Director in BANES AWP), Liz Richards (Managing Director in BANES AWP), Andrea Morland (Commissioner of Mental Health Services in BANES) and Paul Wilson (Manager of Sirona Mental Health Services). After a buffet, introductions were made, and the rest of the evening was spent with the above attendees taking turns to talk to (and listen to) groups of carers, service users and members from various organisations. The topic of conversation was mental health issues in the BANES area. The evening was a great success, and some of the positive feedback received from carers and service users was “We felt heard”, and “I am glad I live in BANES”. Some of the feedback received from the evening’s speakers was that “We need to do more to publicise our services. People do not know what services are available for people with mental health difficulties”. This was a true collaborative event with KS2, New Hope and St Mungo’s Broadway working together. Also, a lot of 3rd sector groups came along to scribe, including MIND, Soundwell, Creativity Works, the Care Forum, Sirona and of course the AWP. I would like to personally thank everyone who made this event such a great success. An article about the event will be written and published soon, so watch this space. 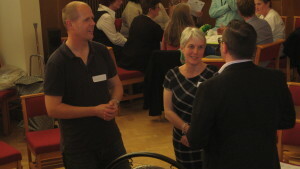 You can check out Iain Tulley’s blog about our event here. Here are some pictures from the evening’s events. April 23rd- A meeting with Jeremy Hunt. We had an opportunity to meet with the Conservative Secretary of State Jeremy Hunt at Mind. They have set up the Care Act, everyone should have an assessment. Stigma of mental health, people who admit to having mental health issues in the workplace losing their jobs. A very special meeting we had Jan Clench from the Intensive Team come to talk to carers, this is the team we as a group hear so much about and the difficulties in getting a service from them. This was a very lively and at times heated meeting and I do have to thank Jan for coming and listening to us, especially when she was in the middle of a run of nights. Alot of what we as carers think should be happening with the intensive team and responses should actually be happening. All carers can ask for a meeting with a member of staff. Training for staff to improve the way they work with carers. Change in decor on the ward, a much nicer environment for patients. Now talking and listening to carers to get a mental health history of the patient. Many thanks to all who came out on what was a very cold night. After our usual ‘check in’ and catch up we had a talk from Ralph Lillywhite from St Mungos and Caroline from New Hope a group fro anyone affected by mental health issues in Bath. New Hope are writing a Service User Charter for Banes and are looking for service users to be involved in this charter, they came to ask carers if any of their loved ones would like to be involved. Thanks to all who came on a very snowy night! Tony R from the Recovery Team came to visit us again, bringing a letter detailing how the Recovery Team are improving the way they work with carers. He also listened to the problems from carers and took them away to act upon them. Clive Brooks from the BANES Carers’ Centre did a talk on what he does to help carers get back into work. He suggested some talks that would be useful to carers, and hopefully these will be arranged in the near future. Many thanks to Clive. KS2 members went to Sycamore Ward today with gifts for patients and staff. There is now a report on our website that details all the many things we have achieved this year, for example the Carers’ Charter and lots of involvement. Everyone was re-elected for another year. There was Christmas food and drink afterwards, and it was a really good social event. Many thanks to all who came! We were very pleased to have with us the Suicide Prevention Officer who works with BANES attending our meeting. His role is to try to reduce the number of suicides in the BANES area. He said that they now have a self-harm register, and that the Samaritans are now based in the Bath A&E department two days a week. A lot of suicides are now people who are not involved with the mental health services, and this is a worrying statistic. There is now a South West Zero Suicide initiative, in which people are working together to try and reduce suicide rates. 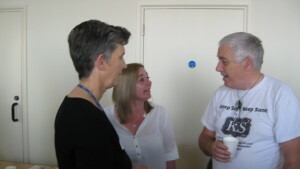 Tony R (manager) and Helen (Carers’ Champion) from the AWP Recovery Team in Bath came and met with carers. We had a frank discussion on how they are improving the way they work with carers. Tony R said he would be coming to future KS2 meetings, and today he picked up problems that carers were having and took them away to sort them out. He is very committed to improving the way that AWP is working with carers. Many thanks to Tony and Helen for listening and being so honest. Tony is writing a letter on how improvements will happen, and it will go on our website. This was a great meeting with frank and honest discussion. There is recognition in parliament that mental health services are the “Cinderella” of the services and something needs to be done to improve them. 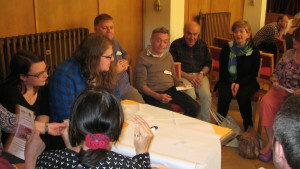 He recognised the important role that carers play and gave examples of how their party would improve things for carers. Keep Safe |Keep Sane have asked for a meeting with Don Foster and Norman Lamb to raise the profile of mental health in parliament and to have questions raised in the commons, so watch this space. We will update this post with response to questions asked when Steve gets back to us after the Lib/Dem conference.Click here for full report. 18 people attended this lively meeting, people had a chance to talk and of course we had coffee and cakes, many thanks to those who provided them. 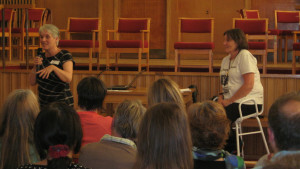 We had a lady from Health watch attend to talk about what they do and listen to peoples stories. We also had a talk about mentalisation based therapy from Sarah, this is the treatment for conditions such as borderline personality disorder. It is long term therapy but it does not seem to be available in BANES, I will look in to why this is the case. We had an interesting and lively meeting,12 people attended, lots of food, coffee and chat. There is research being done to find out how groups work and what support is needed. Our group took part in this research, many thanks to all who took part and gave lots of interesting and constructive feedback. Watch this blog for the report from this research. This was an excellent meeting, we had 17 people attend and every one had a chance to talk about their situation if they wanted to. There was alot of socialising and a very interesting talk from Debbie Spaull- the AWP Trustwide Carers Lead. We had 10 people attend the meeting, which was a general discussion amongst carers. Lots of lively debate, and of course coffee and cakes. Keep safe Keep sane worked with the AWP and The Carers Centre to put on this unique event. It was a lovely day, lots of good food. We had alot of staff from the AWP there to meet carers from Bill Bruce-Jones the Clinical Director of Banes to all the Carers Champions from each team.All were friendly and approachable and wanted to hear carers views. The CQC who have been assessing the Mental Health services in Bath also came to talk to carers about their experiences and listen to their stories. Trust (AWP), the statutory mental health service provider in B&NES. and carers and service users. collaboration with St Mungo’s and New Hope a service user peer support group. answered, that included frank discussion. working together that resulted in some very frank and honest discussion. the honesty of their answers and commitment to get things right. for service users and carers. involved in risk assessments and management plans? the police service on this. why is Hillview so Dickensian? BBJ: Hillview was poorly designed from the start. agree with you and would not want my family to be treated on that ward. regular event, we look forward to seeing you at next year’s event. hosted by AWP and KS2. We had a very special meeting. 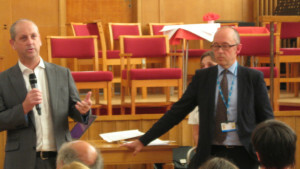 Iain Tulley, Chief Executive of the AWP, and Bill Bruce-Jones, clinical director of the AWP in BANES, came and answered questions set by carers and service users. 40 people attended what I would call a successful, frank and honest discussion. People felt that they were heard and given some honest feedback. Many thanks to all who attended and all who submitted questions. A big thank you to KS2 and New Hope members for help on the night. A special thanks to T who laid on a brilliant spread of food and R who helped facilitate the evening. We are in the process of writing a report on the event, and we will publish it when it is completed. Finally, many thanks to Iain Tulley and Bill Bruce-Jones for giving their time and for being honest with their answers.